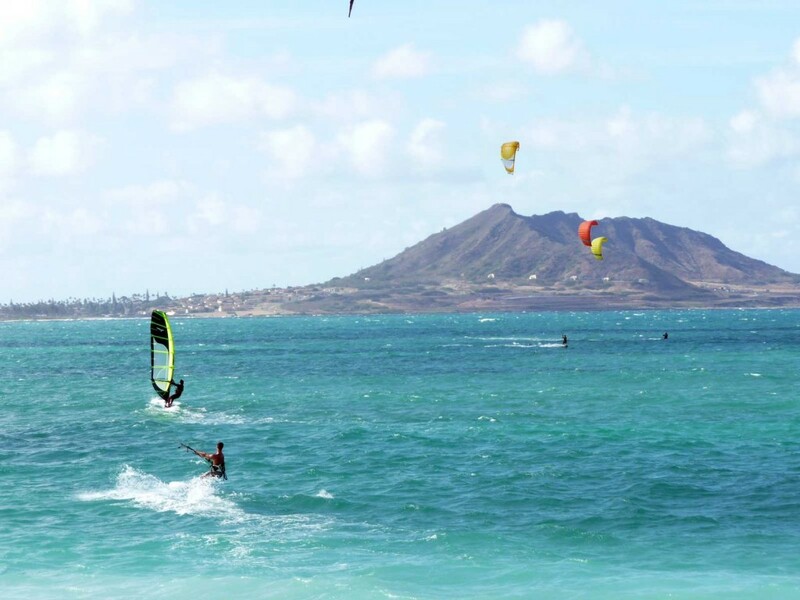 The daily winds, wide open spaces, and warm weather of Kailua Bay on Hawaii’s island of Oahu make it an ideal spot for windsurfing and kiteboarding. Shallow, sandy bottoms help give the bay its memorable aquamarine colors, while a large cinder-cone in the backdrop adds a uniquely island feel. At busy times, this bay is nearly full of windsurfers and kiteboarders, making one wonder if they’ll all make it out safely. The spectacle is a joy to watch or join. This is just a stunningly beautiful photograph. So glad I caught it on Twitter. Would you consider letting me use it as an avatar for my Twitter account KailuaNEWS? Thanks Merry Lee. Please feel free to use it as your avatar. And we’d be pleased if you tell folks where you found it!